A new study, co-authored by a University of New Brunswick professor, shows that eruptions on the sun’s surface not only contribute to the famous northern lights, but also disrupt radio communications and GPS navigation systems on Earth, in a previously unknown way. Dr. Richard Langley, professor of geodesy and geomatics engineering at UNB, worked with researchers from the Technical University of Denmark, NASA Jet Propulsion Laboratory (managed by the California Institute of Technology) and the University of Illinois to study the effects of solar outbursts, or solar storms, on the Earth’s atmosphere. They found that large sections of the upper atmosphere, or ionosphere, over the Arctic region were left void of electrons after a solar storm. This discovery may help to further explain what causes blackouts in radio and satellite signals in the Arctic, which limits air and marine travel in that region. He and his colleagues hope that their work – in addition to contributing more knowledge about the phenomenon – will support the development of communication and navigation systems that can take into account conditions during solar storms to ensure safe flights and marine travel in the Arctic regions. “With the trend of decreasing sea ice, creating greater opportunities for shipping in the Arctic Ocean, navigation and communications in the Arctic is becoming more important than ever before,” said Dr. Langley. “The establishment of additional ports and search-and-rescue facilities by Arctic nations will also benefit from better predictions of the availability of communications systems during periods of ionospheric disturbance." Dr. Attila Komjathy, a researcher with the Jet Propulsion Laboratory and adjunct professor of geodesy and geomatics engineering at UNB, said this discovery will also help to enhance communication with spacecraft which go beyond Earth’s atmosphere. 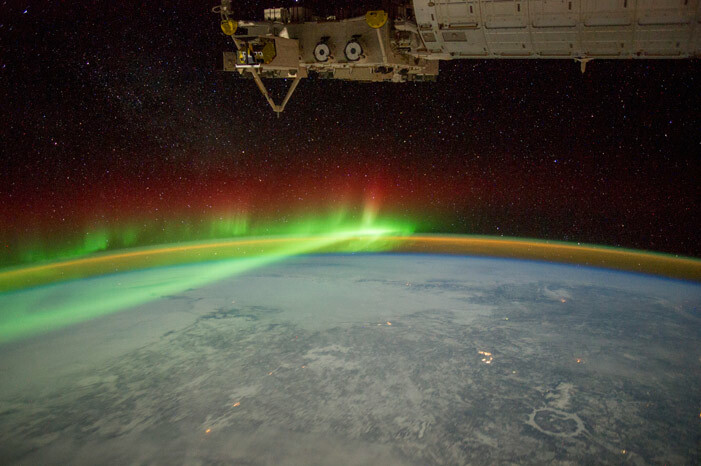 “Another critical application impacted by solar storm disturbances is the use of NASA’s Deep Space Network for direct communications with spacecraft that are affected by the ionosphere. The more accurately we can measure the distortions caused by the ionosphere the better the accuracy for deep space navigation,” said Dr. Komjathy. Dr. Langley added that while it is well known that solar storms affect electrons in the Earth’s atmosphere, this is the first research which demonstrated a loss of electrons from a solar storm. The group’s research focused on a solar storm that took place over Greenland in February 2014. Through a network of GPS receivers in Greenland and American and Canadian satellites, they were able to collect large amounts of data about this storm, which identified the loss of electrons from large patches of the ionosphere. The results of the research were recently published in a paper featured on the front page of the renowned scientific journal Radio Science run by the American Geophysical Union.